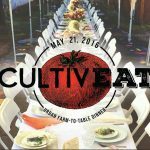 The Roosevelt Growhouse Community Garden will host CultivEAT, a locally grown feast, on Saturday, May 21 at 7 p.m. The second year of the event features recently graduated ASU sustainability student Callie Rose Alden coordinating the event as her capstone internship. 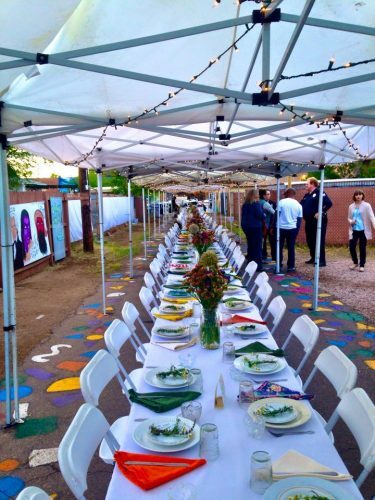 “I’m really interested in food systems,” Alden said, explaining that the first CultivEAT event was put on by ASU School of Sustainability intern Amy Mozingo, who wanted to intern at the Growhouse and create a farm-to-table dinner. 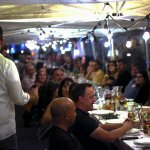 When Alden arrived, Growhouse co-founder Kenny Barrett expressed interest in doing another CultivEAT event and Alden quickly began the process of lining up local farmers and chefs for the community dinner. “It starts with procuring a chef,” Alden explains. Last year’s chef, Robbie Tutlewski, will return and prepare a four-course meal using food grown from local farmers large and small, including backyard farmers and larger, more well-known outfits such as Maya’s Farm, Crow’s Dairy, Tammie Coe Cakes, and The Meat Shop. 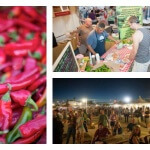 All of this will be paired with local beer from SanTan Brewing Company and wine from Grand Canyon Winery. Diners will eat to live music and can walk off some of the meal with a tour of the garden afterwards. Bioscience High School students will also be presenting on aquaponics gardening at the site. 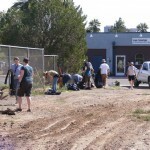 The majority of food and beverages will be donated, as the event functions as a fundraiser for the Growhouse, which strives to create urban-agriculture educational opportunities. The event will also benefit the Evans Churchill Community Association. 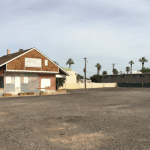 After leaving her mark on downtown Phoenix, Alden plans to take a year to visit farms throughout the country, and possibly even be part of a few more farm-to-table events along the way. Although this year’s CultivEAT dinner is sold out, unclaimed seats will be released at 7:30 p.m. on the night of the event, or you can sign up to volunteer for the event here. Photos courtesy of Roosevelt Growhouse.